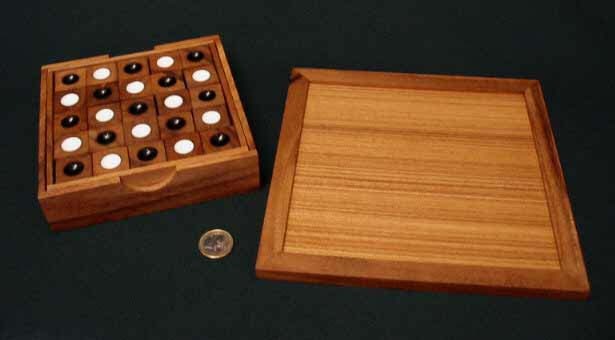 A challenging game of strategy. For 2 players aged 7 years - adult. Get 5 pieces of your own colour into a row before your opponent. Try imagining XO (noughts and crosses) but the pieces keep moving! You need to observe, think and plan a winning strategy all at the same time. 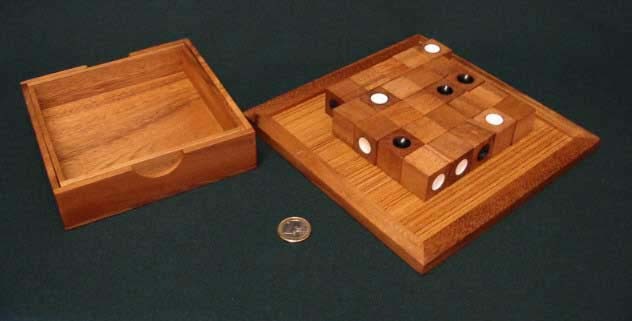 With a hardwood box/lid and a separate hardwood board. Dimensions 145 x 145 x 37 mm.